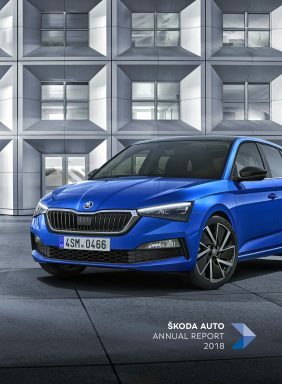 Mladá Boleslav, 1 April 2019 – The ŠKODA SCALA takes the Czech brand to the next level in the high-volume compact class. Future SCALA owners can now use an extraordinary individualisation feature to turn this car into a particularly personal model. A rapid 3D printing process developed by ŠKODA allows customers to replace the individual letters in the ŠKODA wordmark at the rear with a name of their choosing. This new option is available in the Car Configurator now. With its emotive design, advanced technology as well as excellent functionality and state-of-the-art connectivity, the ŠKODA SCALA sets new standards in the compact class. In addition to three trim levels and numerous options, this car is as of now available with a feature so far unique in automotive production that will enable the ultimate in personalisation. 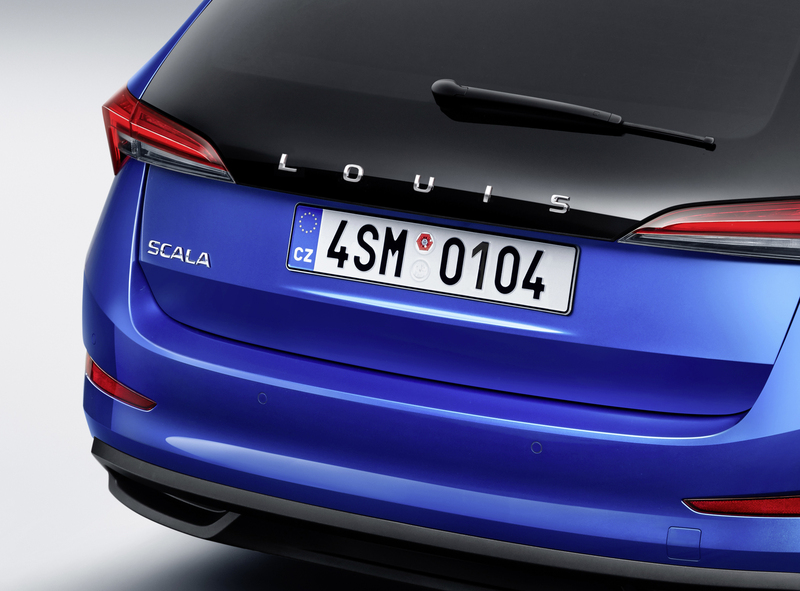 A rapid 3D printing process developed by ŠKODA allows customers to replace the ŠKODA wordmark on the SCALA’s tailgate with a name of their choosing. The rapid 3D printing process allows for 3 to 9 letters at the rear. Customers can choose their own name for example, or that of a spouse or child. All letters are rendered in the hallmark ŠKODA font and have a glossy chrome finish. Choice is limited to capital letters including Czech diacritics, without spaces or dashes. The new option is available exclusively with the extended rear window, which in the SCALA comes as part of the Emotion package and the Image package. The dark glass is particularly well suited to highlighting the letters, which are applied with a special glue that allows removing them without leaving a residue. Simply clever: the personalised name at the rear can be replaced with the original ŠKODA wordmark without a trip to the workshop. ŠKODA supplies the wordmark on a mount that has a chrome frame and a crystalline surface texture, creating a particularly sophisticated look. Like a picture frame, it has a fold-out stand enabling it to be displayed or hung on a wall. Later on, it can also be used to hold the personalised name. The mount is manufactured from renewable materials that can be disposed of in an environmentally friendly manner. The letters are made from recyclable material. Once the lettering is no longer required, it can be returned to any authorised ŠKODA dealer. The visual effect of the name can be instantly checked in the ŠKODA Car Configurator. This new option is available as of now. ŠKODA has been using this special 3D printing technology for a while now to produce spare parts for vintage vehicles. To enable just-in-time integration into everyday production at the Mladá Boleslav main plant, ŠKODA has refined its rapid 3D technology and had it patented. The SCALA is the first European model from the Czech manufacturer to have the brand name spelled out in separate letters at the rear, enabling this kind of individualisation.